The DF8 is powered by a 16 cylinder 16V280ZJ engine, similar to the unit used by the DF4 but with an increased cylinder bore giving more than 30% more power output. More than half the 140 strong class are based at Mudanjiang depot and work freight on the Jixi - Mudanjiang - Harbin route. 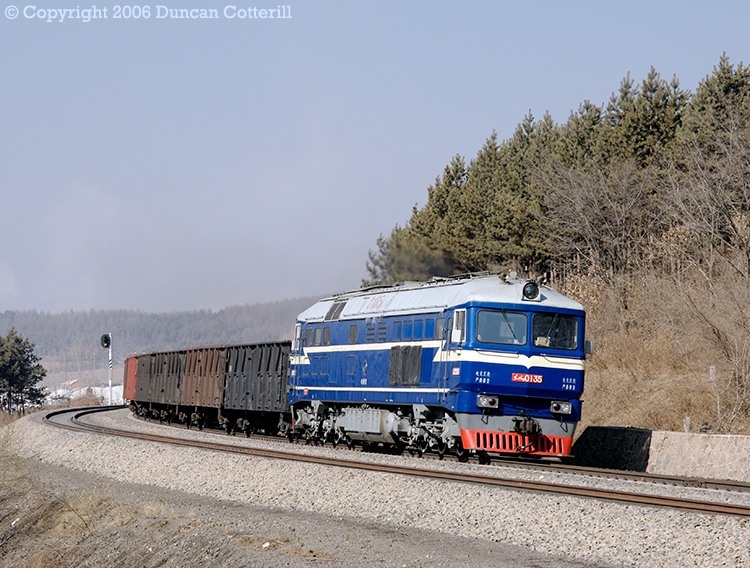 DF8 0135 was working an empty coal train eastwards near Pingshan on 6 March 2006.